No one with a sane mind would doubt the love between Virushka. 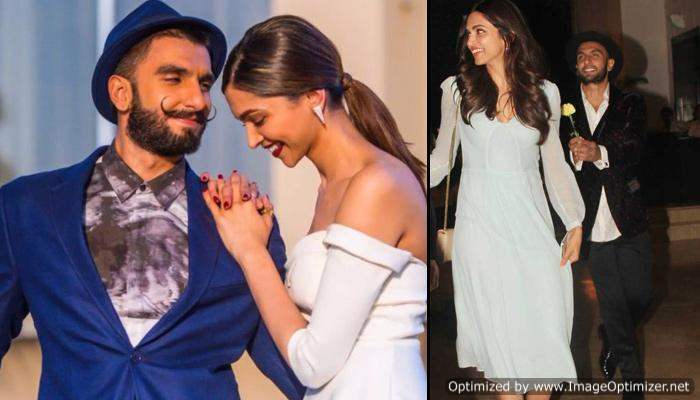 One look at their interviews, their wedding pictures and they way they look at each other, you would know that the two are madly in love with each other. But recently, it seems like Anushka Sharma has found love yet again. But it’s not her husband Virat Kohli. Anushka is currently gearing up for the release of her upcoming film ‘Sui Dhaaga-Made In India’ which will hit the theatres by the end of this month. She is busy promoting her film with co-star Varun Dhawan as the two are visiting different cities every day to publicize their film. The story revolves around an entrepreneur couple who are a pair of a tailor and an embroider in a small town and how they beat all odds to start their own garment business. While Anushka was prepping for her role in the movie and shooting, she fell in love with the artisans and weavers of Chanderi. She was so much amazed by their art and skills that she called up a meeting of all the weavers of the village to talk to them and hear their stories of struggles. When she saw their work, she was so enamoured by the designs that she ended up buying 35 sarees. 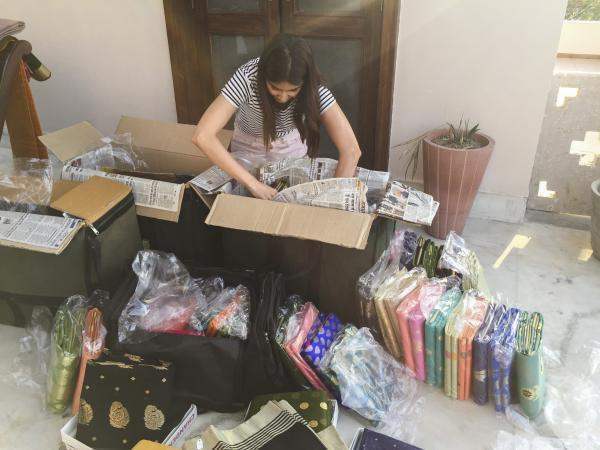 A source close to Anushka revealed, “Anushka expressed her fascination for Chanderi sarees and requested them to bring their collection. 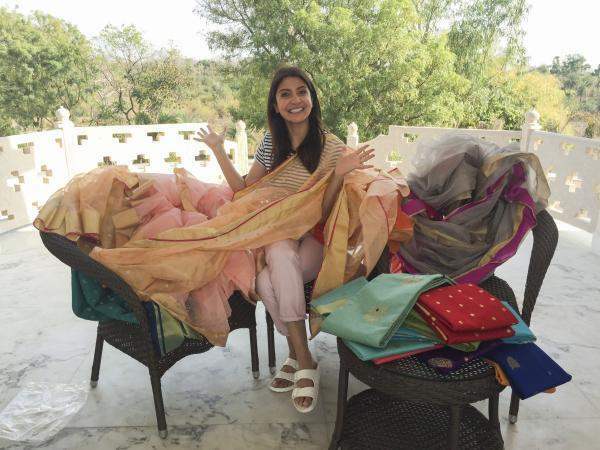 She spent a couple of hours with them looking through their designs and to their huge surprise, she bought around 35 Chanderi sarees from them! She shopped for her family, took some for gifting. She also bought a lot for herself. In her own way, Anushka would be spreading the life stories of these talented weavers with her immediate family and friends. She has also taken down all their phone numbers for future”. In her own way and little gesture she ended up supporting local artisans of a small village. Kudos to her!